When I started planning our adventure in the South of Germany I tried to figure out what are the possibilities for extended trips outside the border, mostly around Switzerland, a country I neglected in the last years. While my fingers were moving in different directions on the map, I decided that instead of small bits of Switzerland, I should finally pay a visit to Liechtenstein. All approved, I needed to figure out how to reach this small country hidden inside Switzerland in the most convenient way. 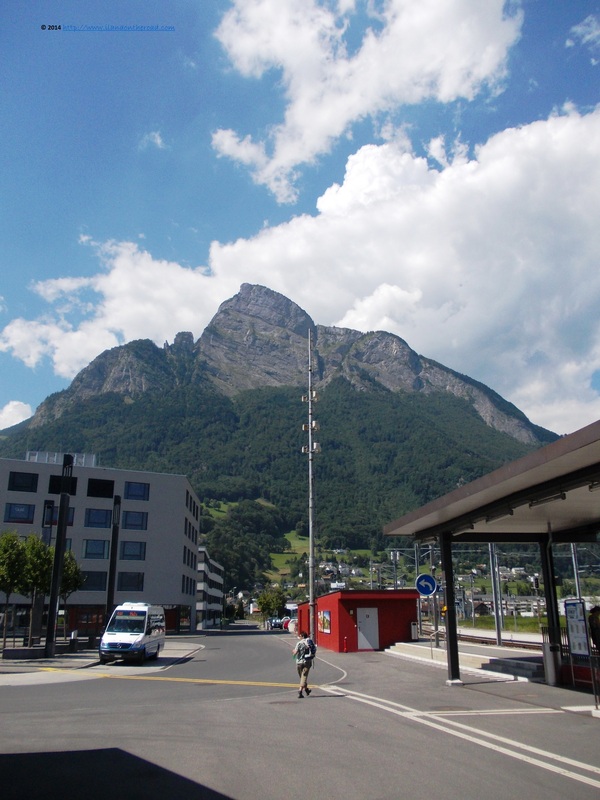 The best is to take the train till Sarcans and from there, a regular bus that in around 30 minutes arrives in Vaduz. The journey goes alongside spectacular high mountains with small villages cramped on the aisles, an invitation to humility and curiosity to walk by foot every inch of forest or mountain. 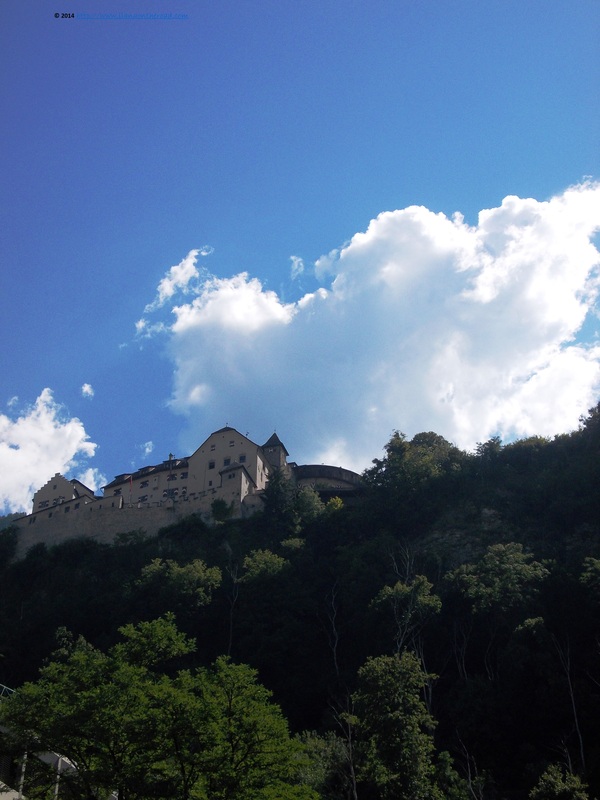 The castle that dominates the city from the high of its 120-meter, that can be partly visited only special guided tours was the first apparition upon arrival and kept appearing regularly from the corners of the buildings or streets of Vaduz. 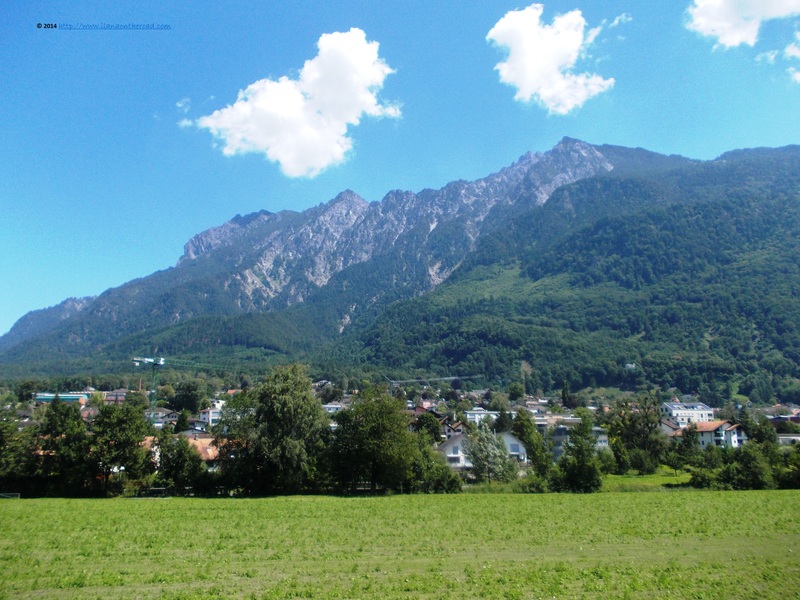 The sixth smallest countries in the world, Liechtenstein is a sovereign state since the beginning of the 19th century, being ruled as a principality by a family of Austrian origin. 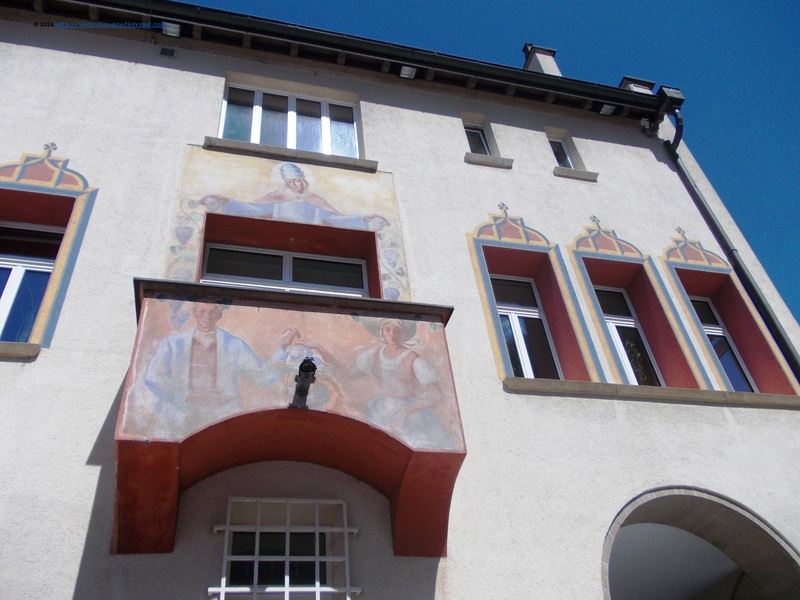 Nowadays a constitutional hereditary monarchy, it was visited by many cultural and political European personalities, among which Goethe, who stayed for a little while in a house situated in the center of Vaduz. 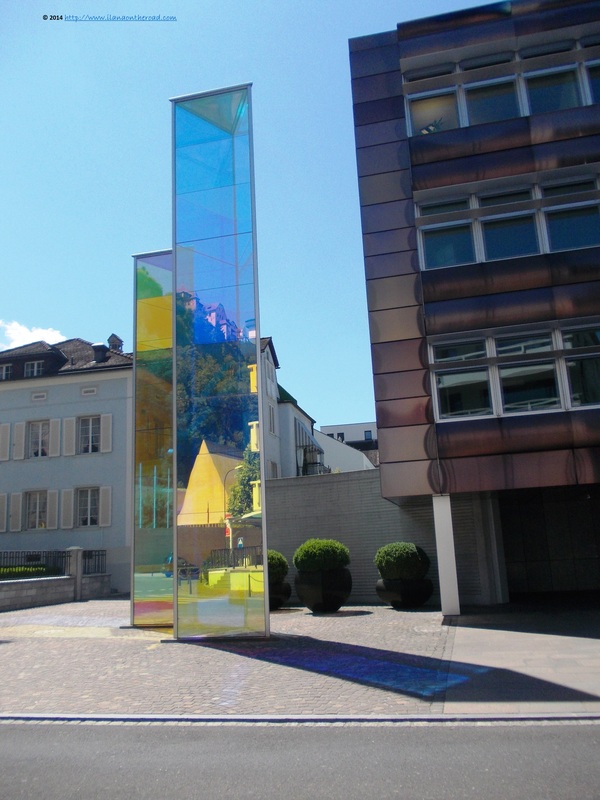 The city displays a good taste combination between the overwhelming natural landscape and urban elegance, with flowers spread between dynamic statues that seem to occupy in the best way the vertical space between various constructions. The central streets were busy with tourists from the early hours of the morning till late in the afternoon, many of them curious to discover every corner of the city. 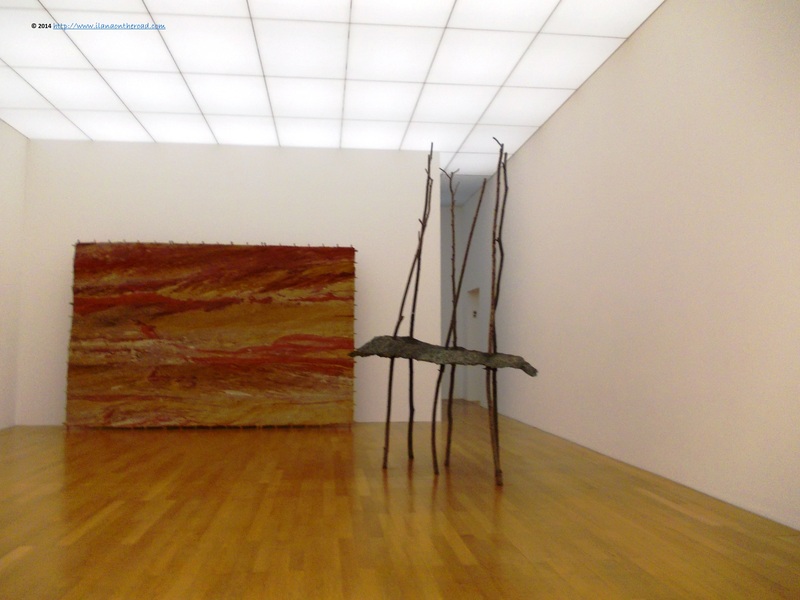 With so many monumental art situated in many unexpected places, it was hard to be disappointed. 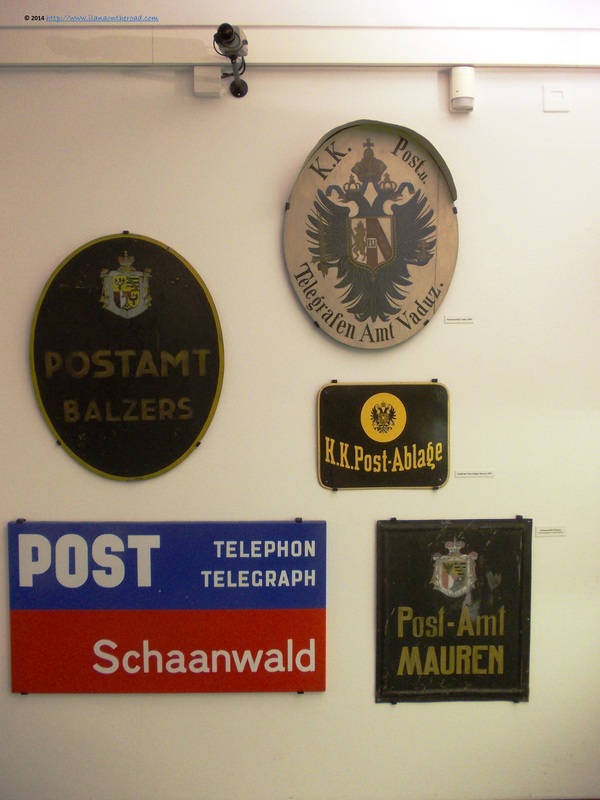 My first cultural stop was at the Post Museum, learning not only about the interesting postmarks produced here but also about how the first telegraph lines started to connect Liechtenstein with the rest of Europe and the world, starting from the end of the 19th century. From there, I made a long stop at the Museum of Modern Art who is interesting not only for its collection, but also as an individual work of architecture in itself, but also for its L-shaped building. More than anywhere else, I am trying as much as possible to limit the time spent indoors for long minutes of admiration of the exquisite landscape. 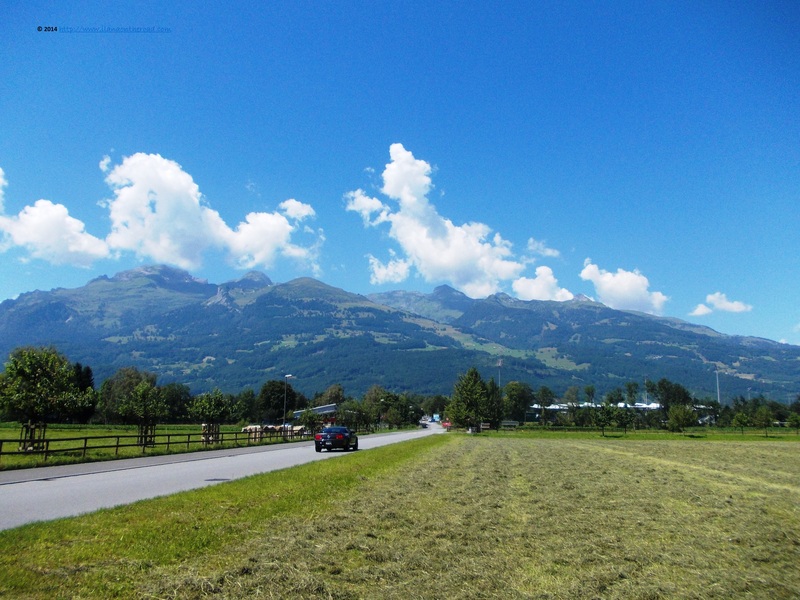 With its mountains and the green pastures, Swiss-style bigger chalets and cows, plus the extended areas with vineyards, it seems that Liechtenstein won the best of all neighbouring worlds - Switzerland and Austria. In full compliance with the environment, the architecture is integrating an abundance of natural elements, that bring harmony to corners that might look aggressively sober at the first sight. The irregular geometry of the buildings applies as well to the governmental institutions. Near the Parliament and government buildings, a small park with pebbles and little trees can bring peace of mind after a busy day deciding the destiny of the Principality. With some more available time and the Adventure Pass in my pocket, I made a tour of the Liechtenstein history and culture at the dedicated museum, in addition to a contemporary exhibition of textile works and a temporary exhibition about gladiators, exploring the daily life and the evolution of the shows usually displayed in Colosseum. 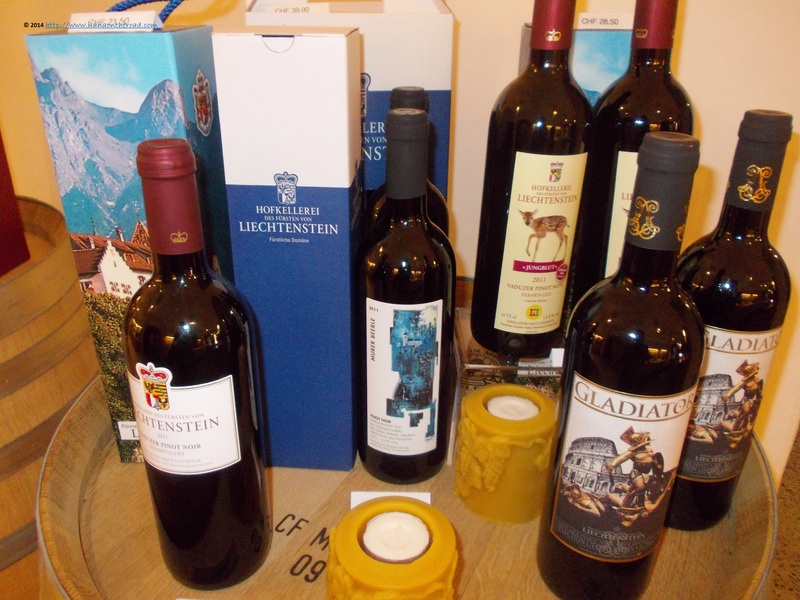 The museum also offers on sale samples of the local production of wine, a distinctive category of products Made in Liechtenstein. I learned more about the vineyards later in the day, while taking the mini-train tour that leads the visitors in the main attraction points of Vaduz. Compared to other similar tours I took this summer, it also offers the opportunity for a small stop, in the best spots for photo opportunities. My favourite was near the Red House, where the eyes did not have enough dreaming about the time when the wine is almost ready. 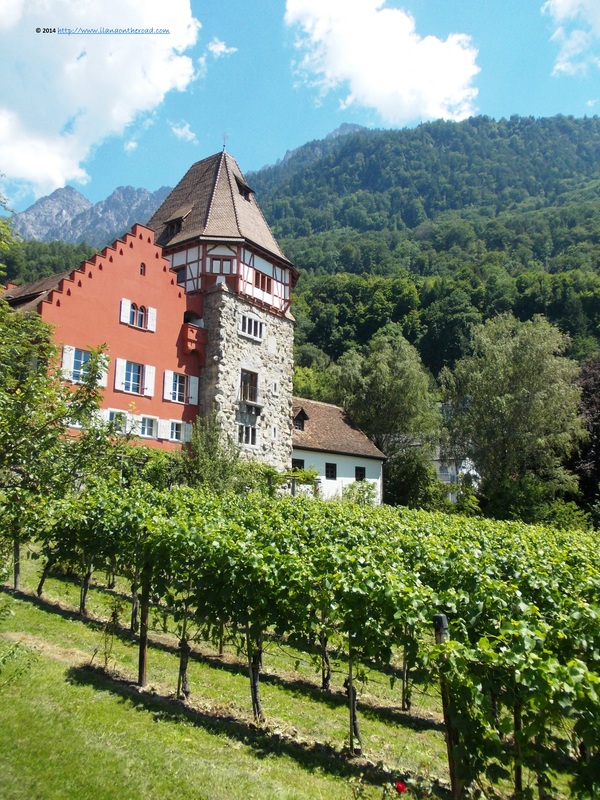 The Adventure pass generously offered by the Liechtenstein Tourism Office allows some free degustation of two wines from the winery of the Prince Liechtenstein. The famous local bottles of Pinot noir and Chardonay should probably wait till my next visit. The mini-tour during which the moments of explanations are intercalated with long pauses of local folk music - that sounded like a pop version of the Swiss yodlers - goes all round Vaduz, up on the top of the cobblestone old roads, many of them built probably late in the time of the Romans. 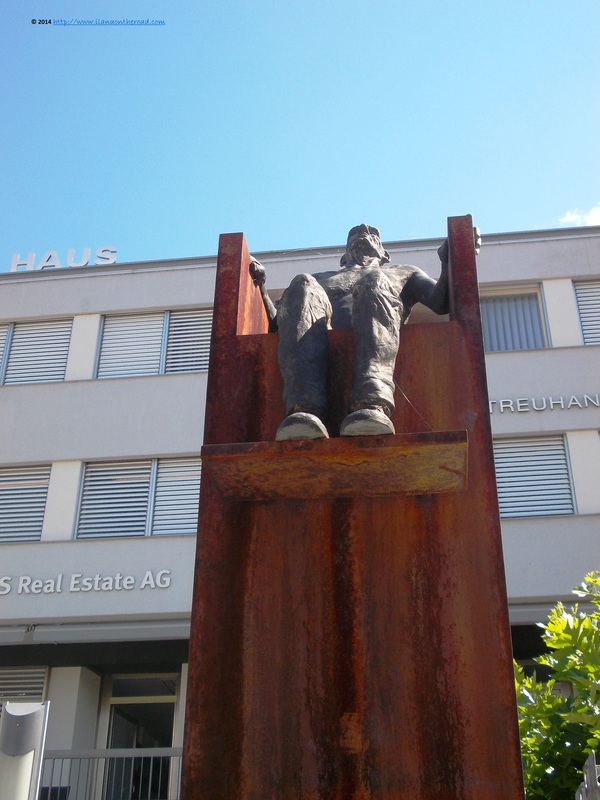 In the middle of so many monumental art works and stone houses, Vaduz, a former farmer village in the old times, also has a stadium of 6,000 places where the national soccer team is playing regularly. 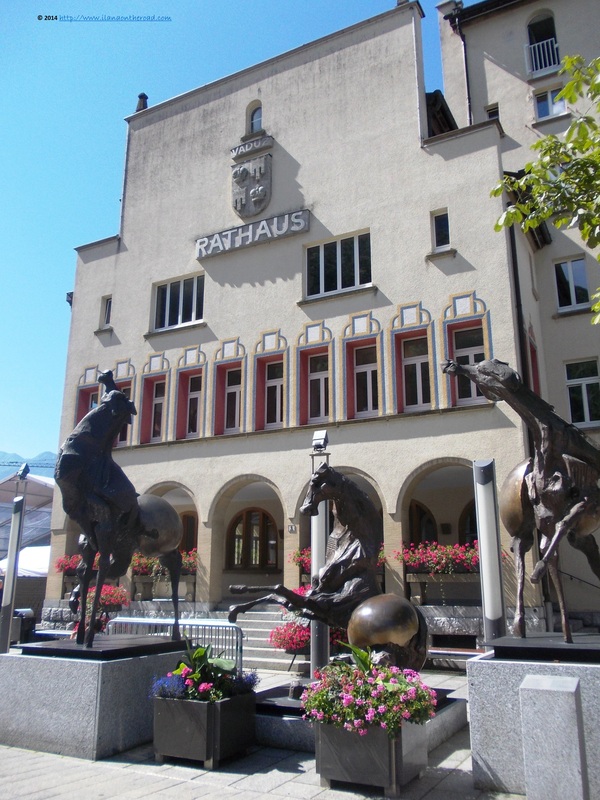 For those interested in practising sports, Liechtenstein offers many indoor and outdoor swimming pools, minigolf, an adventure park as well as possibilities to practise winter sports many of them presented in the dedicated Museum. Back to the busy central area, we had a stop at Engel Restaurant, offering a variety of cuisines, from the regional Swiss and Austrian dishes to more exotic Thai and Chinese. Although my choice of Pad Thai Rak was extremely bad, the coffee was strong enough to smitten my protests. 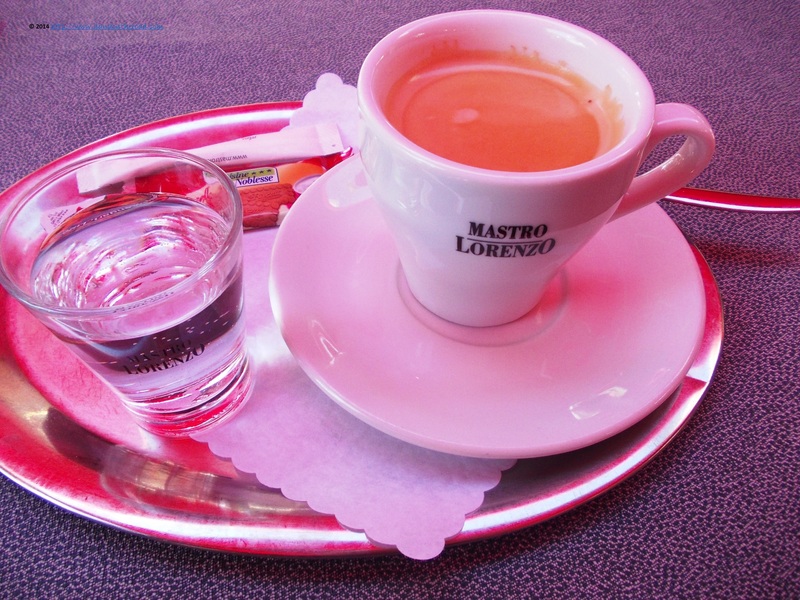 Although the national currency is the Swiss Franc, the payments can be made in Euro and Dollars, a very good smart way to avoid complicating too much the life of country hoping tourists that may get confused about which money they should use on step ahead. 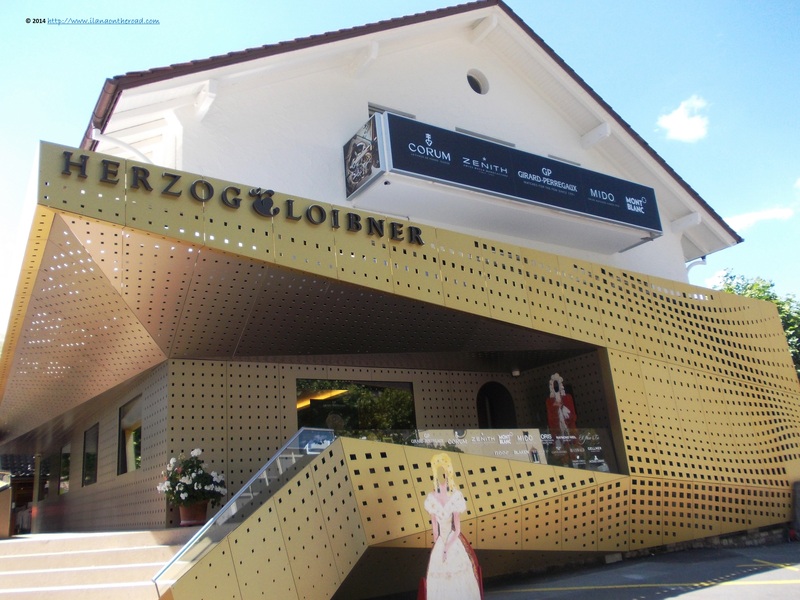 Exquisite shops are relatively few compared with the usual display in Switzerland, but with interesting design products, both for clothes and jewellery. 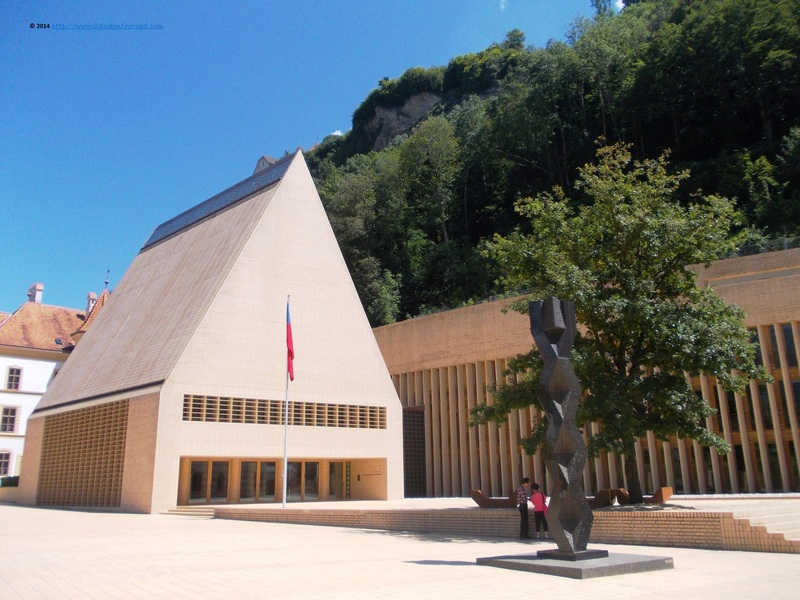 Liechtenstein, made up of families owith diplomatic and military background, is regularly attracting intellectual audiences from all over Europe for its classical and jazz concerts held in Vaduz and other places regularly. As I spotted an announcement for a concert of Chick Corea I just had another regret for leaving this country. I said 'good bye' to Liechtenstein with a heavy heart, but at least now I promise to include it in all my coming plans to visit Switzerland. 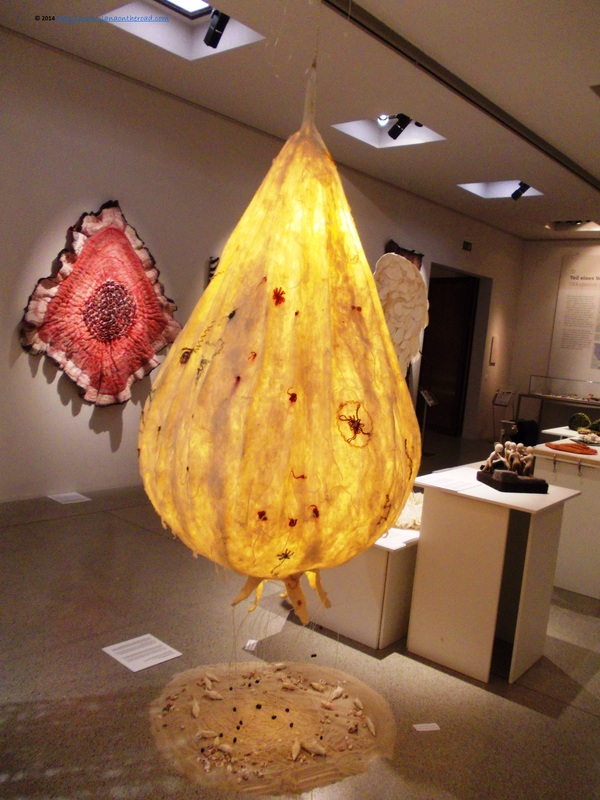 Liechtenstein is Europe's best hidden secrets and I'm glad that I had the chance to be part of its discovery too. Liechtenstein Tourism Office offered me an Adventure Pass to discover the country, but the opinions are, as usual, my own.